Disclosure: This blog post contains links to my Amazon Associates affiliate page, and any purchases you make from that page result in Amazon store credit for me. As always, I would never recommend something that I have not personally used and/or would not purchase with my own money! I often get emails from people asking me about what embroidery supplies that I like and use for my own projects. So, I thought I would share some of my favorite supplies that I love and recommend. This is by far the most used supply that you will need when doing machine embroidery. Obviously, there are many brands to choose from. But, honestly, I found this stabilizer on Amazon and I absolutely love it and once all of my stash is gone, this will be my go-to stabilizer from now on. Simply because it is a good price and I love the way that it tears away so easily after embroidering. I buy this lightweight Tear-away by the roll. It is 20″x 25 ft. I like to buy the lightweight and then use two layers if the design needs more stabilizer. Or, for most of my projects, I float an extra layer under the hoop. My philosophy is to never scrimp on stabilizer. It is just not worth it. Use plenty and you will never be wasting your embroidery time and never regret it. Even more convenient are these pre-cut squares. I love them! So easy to just grab one (or two) and hoop and embroider. I buy them in two sizes – to fit my 4×4 hoop and my 5×7 hoop. And last, but definitely very important is to have a supply of Water-soluble Topper stabilizer on hand. You will need this to lay on top of your fabric before you embroider. This is a necessity when embroidering on towels, or blankets – anything that has a nap to the fabric. Using this topper will help to hold down the nap of the fabric under your design. Very important! Do you love to make Snap Tags in-the-hoop? They are one of my favorite projects. So fast and easy to make for great quick gifts. I love these colorful snaps to add to the tags. Make sure you order the larger shank size (5T) if you are making your tags from vinyl. Here is a great starter pack that includes 100 colored snaps and tools to attach the snaps. You can’t do quality work without quality scissors. I love these scissors. They are really different than other scissors. They cut like a knife through soft butter. I had heard about them, but didn’t realize how awesome they are until I tried them. And they are not expensive. Absolutely one of my favorites! My all-time favorite kind of embroidery is applique designs. There is endless creativity with choosing fabrics to embroider applique designs. Most of the time, I like to pre-cut my applique pieces, but when I don’t take the time to do that, these are a must-have to cut around the placement lines of your applique shapes. The beveled edge helps to keep from catching the fabric and cutting too close. They are extremely sharp and make it very easy to cut into small corners and crevices of your applique shape. For many years I used the Cameo Silhouette to pre-cut my applique fabric shapes. Then one day, I heard about the new Cricut Maker. I was intrigued, watched some videos about it and bought it immediately. I LOVE it. It has a rotary cutter that cuts fabric with ease. So much smoother than the Cameo Silhouette. I am so glad I switched to this Cricut Maker. After digitizing my designs in FTCU, I create an SVG file, open it in the Cricut program and align the fabrics on the mat and hit the button and it cuts my appliques in no time. With this Cricut, there is no need to add a backing to your fabric. It cuts your applique shapes perfectly using the rotary cutter system. It’s like magic! There are many other items that I can recommend for your Embroidery Studio. I will add more items in the future. Check back for updates! As always, if you have any questions, I will be happy to help. Send me an email at: paula@embroiderygatherings.com. The following list of My Favorite Supplies contains some affiliate links for your convenience – which means if you make a purchase after clicking a link, I will earn a small commission, but your purchase price stays the same. Click here to read my full disclosure policy. I only recommend items that I use and love. I hope you find something that is helpful to you! Hi! 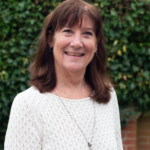 I am Paula and I am excited to help you learn to digitize with Floriani FTCU. 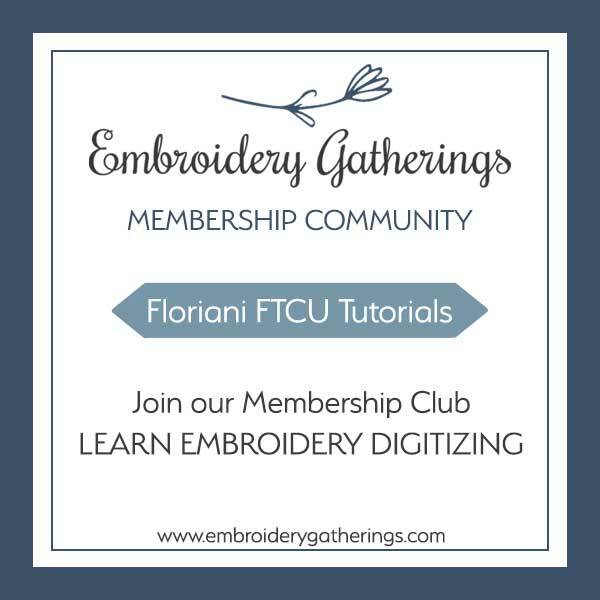 My goal is to share all the digitizing skills that I have learned so that you can easily create your own beautiful embroidery designs. I hope you find these basic tutorials helpful to get you started with your FTCU digitizing software. 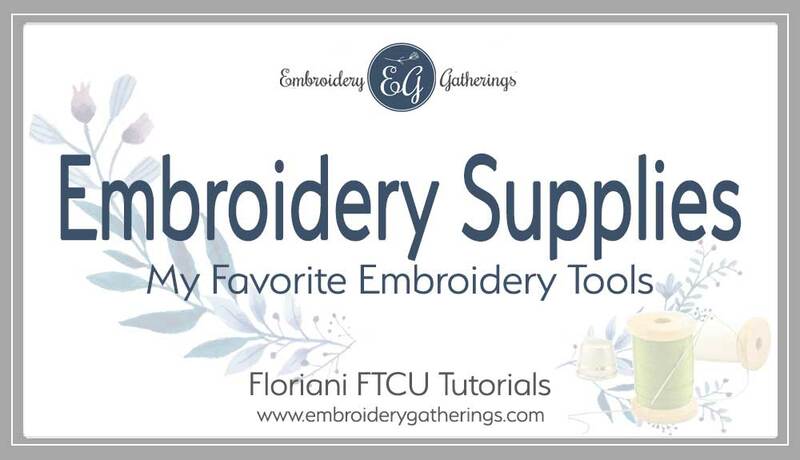 You are invited to join our Embroidery Gatherings Membership Club for more step-by-step lessons and videos.